On our travels we lugged a pile of books around in effort to keep ourselves entertained. We tried to find used, short/medium length paperbacks from amazon.com before the trip that were not bulky for lightweight extended travel. We also adopted a strategy of finding used book stores with a selection of english books, became kindle via iphone users, and taking/leaving books from/at inns. Neither of us found ourselves to be hugely into the kindle as we both enjoy the feel of paper books, but the idea and use was ultimately convenient and lightweight. Aside from strategy I just wanted to share a few thoughts on some of the books I read over the past few months for no other reason than I believe these are great travel and adventure books. 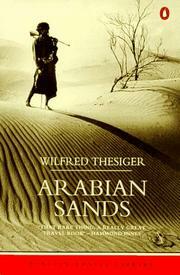 Arabian Sands by Wilfred Thesiger is a story of exploration of the Empty Quarter within the Arabian Peninsula. I pride myself in thinking that I spent a few minutes climbing these dunes in the UAE, and although I was still quiet far away from the Empty Quarter, I was at least able to get a taste. I also picked up this book because we anticipated going further into the Middle East before the Arab Spring started. Arabian Sands reads as a dry English adventure journal chronicle. While this is not the most exciting page turner, I did enjoy the account of the first Europeans who enlisted the help of locals to cross this area of the world. What was particularly fascinating to me are the survival techniques the local Bedouins use to sustain life in the area of the world. Everything from having extensive navigational and terrain knowledge, knowing precise location of wells, stocking food, and tending camels. As a modern adventurer 2.0 constantly being bombarded with tons of gear needed to survive a day in the side country, I think to this group who made it through uninhabited naturally hostile lands with little more than salty water, dates, dried sardines, linen robs, and camels. The tales of these journeys show the extent of human potential, patience, and determination. A book I bought for the trip but did start and finish until January is The Sun Also Rises by Ernest Hemingway. I am glad I read this book after our trip, and I am not going to go into a literary analysis of how this book effected me, impacted my life, moved me, or opened my eyes to the Lost Generation that Hemingway focused on in this tale, because the book did nothing of this to me. If you want an analysis I will direct you to read the links above as I am not much of a literature person. What did strike me though about this book were the carefree adventures the characters embarked on. Moving from one place to the next by the seat of their pants, not know what was going to happen next, what the next town had in store for them, or when they were going back. The story gives insight of the traveling freedom in a changing world after WWI. While there are many, many, MANY interpretations and discussions that have occurred on this book over the years, I fully admit I likely did not absorb half of these, and I do not expect to even make the effort to understand these anytime soon. For us though, in a post 9/11/terrorism/housing mortgage crisis world, the experiences, difficulties, and rationales of these people navigating through life speaks something to how we are trying to live our lives.